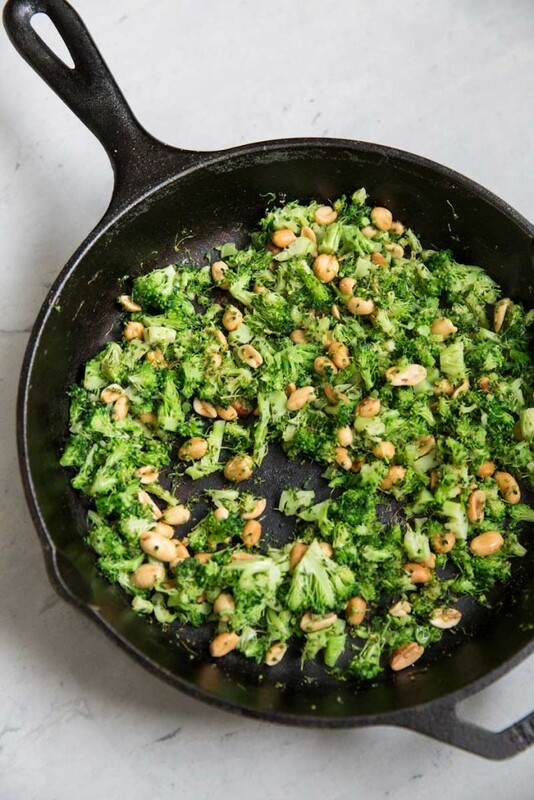 We’ve made this Roasted and Charred Broccoli dish several times, the last time we served it as a full meal over pasta and it truly hit the spot. I had planned to share the recipe with you a week or so ago but illness sept through our family landing us with a week long stay in the hospital. 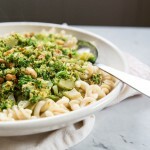 Coming out of that dark week I’m in need of more green… spring, health, hope, and more dishes like this one. We entered the hospital for one reason, my son had a bad case of pneumonia, but then stayed for another, the doctors unveiling a previously unknown mass on my child’s liver. Through recovery of the pneumonia, and testing for the mass, I stayed right by my boy’s side, holding his hand most of the day and even through the night, sleeping on the edge of his hospital bed and getting up only briefly. I realized days into our stay that I hadn’t showered or even gotten a breath of fresh air and it was due time. I think everyone would probably deal with a situation like this in his or her unique way. For me, there was only one way to get through the days and unknown diagnosis of my son’s health… bathing in God’s word. Every waking moment that I wasn’t interacting with my son I was reading and reciting God’s promises, words of truth and hope. These words, sometimes ran empty to my heart but most of the time were my only hope and health during those days. I was living the verse, “Man does not live on bread alone but on every word that comes from the Lord.” (Matthew 4:4) In my case this was my survival method, my coping method, my hope, and my grace. After days of testing and one really long MRI, the doctors decided that the mass on Everett’s liver was not cancerous or an infection, which were worst case scenarios but also likely, but that the mass was a malformation. They set us up with a liver specialist (one of the best in the world) and only a day later we were released from the hospital. The whirlwind of emotion happened so quickly that I started to wonder if it had all been a bad dream. How had we made it through so quickly and ended up on the other side??! We returned home, still with a journey of recovery and answers before us but we could rest, rest in His great mercy over us. And that is just what we did. I slept for 12 hours the first night home and Everett for even longer. I sang songs of worship and thankfulness. God had done a good work of healing, giving hope, and sustaining all of us in those dark and difficult days. He had gotten us through, one moment at a time. Something is is just so good at. Here’s to a very green spring, one of hope and health! This recipe is adapted from Bon Appetit. What I love most about this recipe is that it uses the whole crown of broccoli, even the stems, leaving no waste. 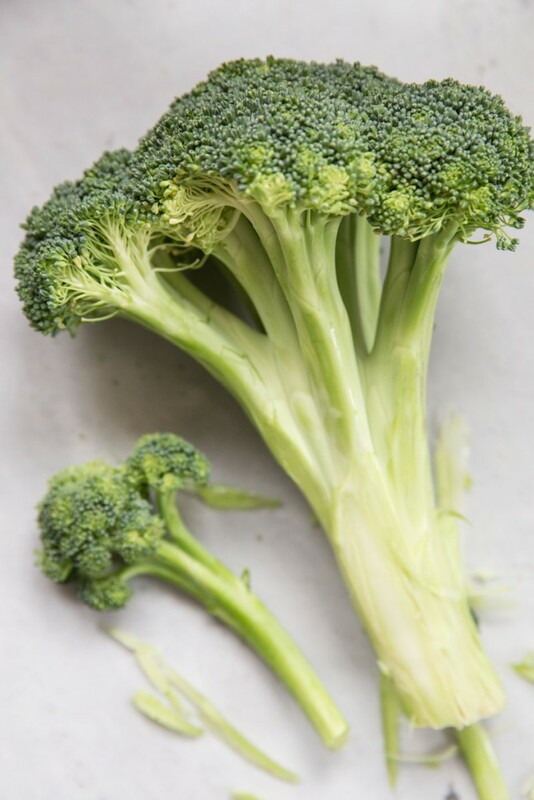 It’s flavored simply but thoroughly and has lots of texture through the methods of roasting and charring different parts of the broccoli. Nutritional yeast, a healthy vegan cheese substitute for cheese is used to increase flavor and health in the dish. Read more about that ingredient within the text of the recipe. 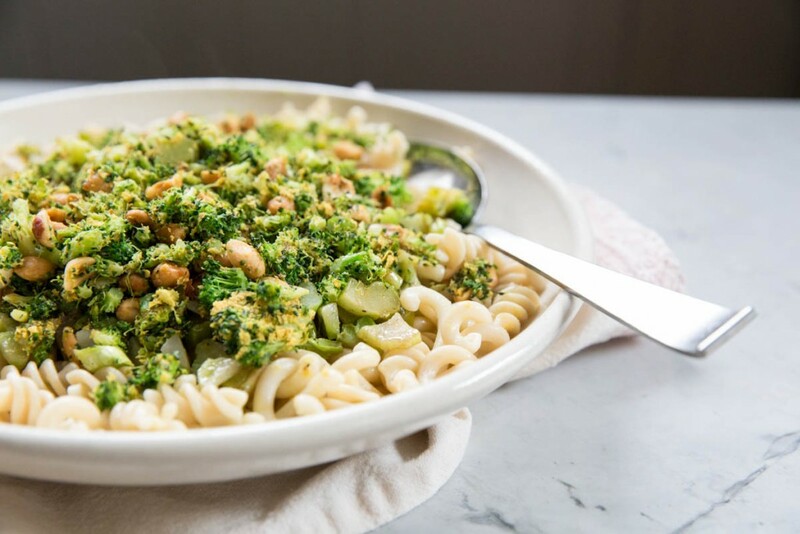 A tasty vegan dinner recipe that makes use of the whole crown of broccoli, stems and all. Preheat oven to 450 degrees and prepare a large baking sheet with foil. 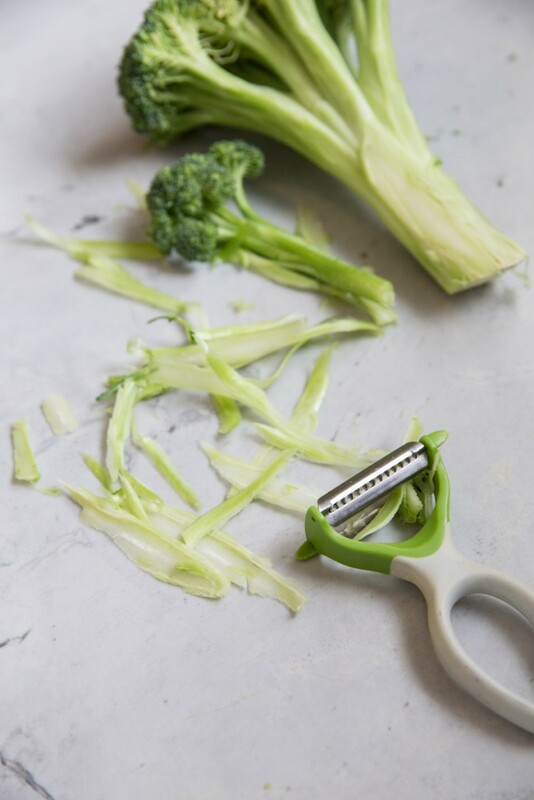 Slice off just the very end of the broccoli stem then peel the rest of the stem using a vegetable peeler. The peel is what often makes the broccoli stems too tough and bitter to eat. Chop the broccoli stem into 1/4 inch pieces. 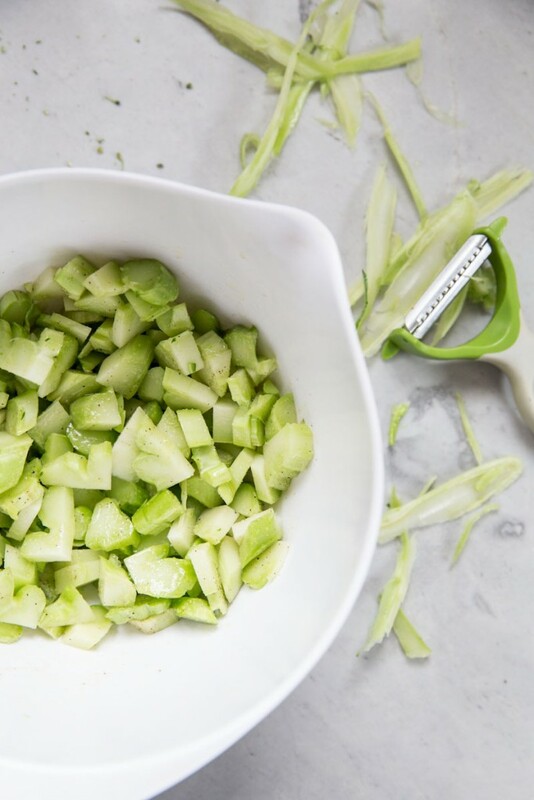 Toss the stem pieces with 1 tablespoon of olive oil, 1/2 teaspoon salt and 1/8 teaspoon pepper. Spread them out onto the prepared baking sheet and roast for 15 minutes (tossing half way through) or until browned on both sides. Once these are done baking toss with 1 teaspoon of balsamic. While stems are roasting cook the pasta in salted boiling water. Once done drain all but 1/2 cup of the cooking liquid and toss with 1.5 tablespoons of the nutritional yeast. As pasta is cooking, chop up the florets pretty fine and heat up a cast iron skillet on high heat. Add the floret, along with the other half of salt and pepper, and dry toast them to an almost char state, stirring often (about 5 minutes). Reduce heat to a low and add in the red pepper flakes, sugar and peanuts. Cook until nuts are gold brown then stir in 1.5 tablespoons of nutritional yeast. Adjust seasonings to your preference. 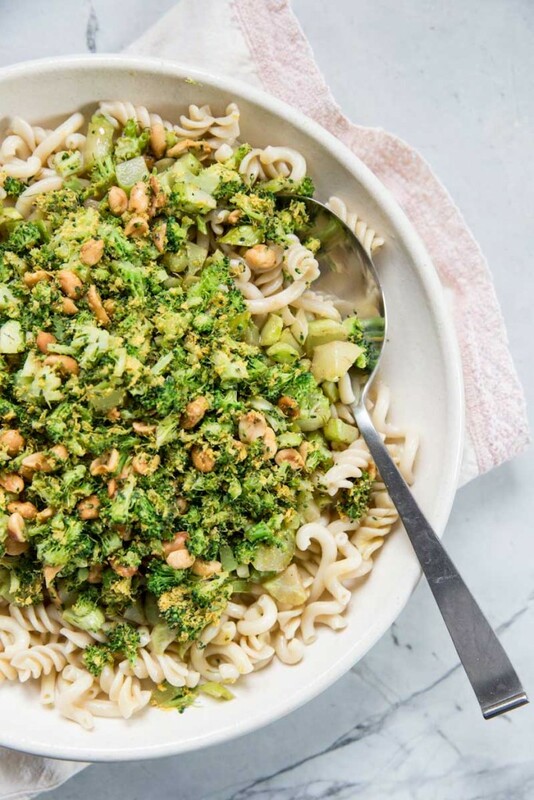 To serve layer pasta then broccoli stems, then broccoli florets with peanuts. Nutritional Yeast is a vegan cheese substitute and its health benefits include: a dense amount of protein per serving, sodium free, and fortified with B12 which helps prevent against anemia. Here’s more info on nutritional yeast, including healthy benefits and great ways cook with it. And this dish looks like the perfect way to recoup! Thanks so much friend. 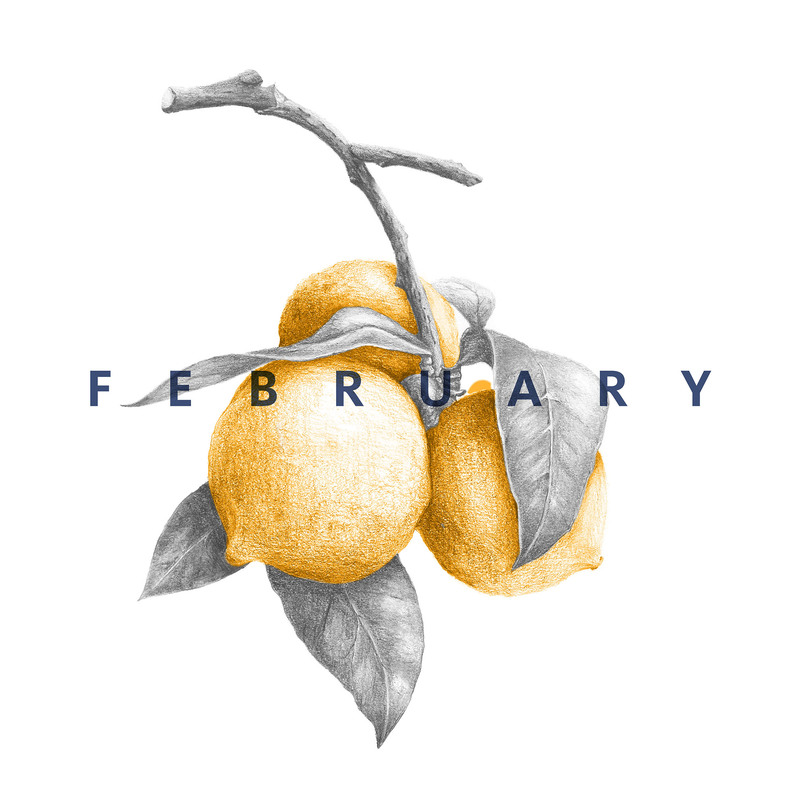 What a month you and I have been through. Taking it day by day! Much love to you! I’m so glad everything turned out well. Hugs! Thanks so much Barbara! I’m so glad to be on the other side of all of this! Thank you for sharing your vulnerable and trying experience and how you go through it. Sending love to you all! Becky, I just loved your words of hope and trust! He is our only hope and comfort! We had been praying for Everett and you and Josh and are just so relieved it was not something more serious. Hugs to you all! My daughter and I tried this today in an attempt to get me to eat more veggies. I don’t particularly care for broccoli, but know it’s so good for us. I actually liked it a lot! We used toasted almonds, she’s allergic to peanuts, and it was good w/almonds, too. I doubt that we’d do the peeling of stems again, but was a fun part of the process anyways. I ate the leftovers cold w/some lite Asian dressing on it! I’m so sorry about what you’re going through Becky and I’m thinking about you and your family — hugs! 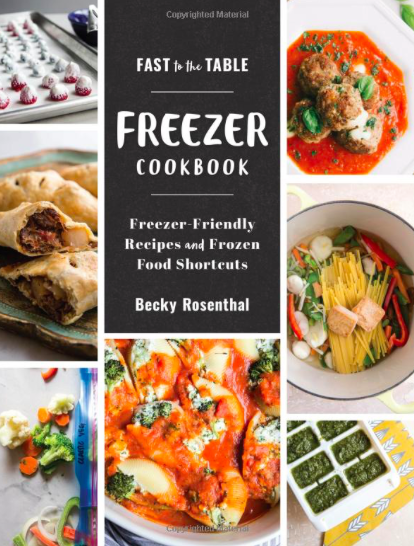 This is such a comforting meal and I love all that delicious, charred broccoli — it sounds amazing!